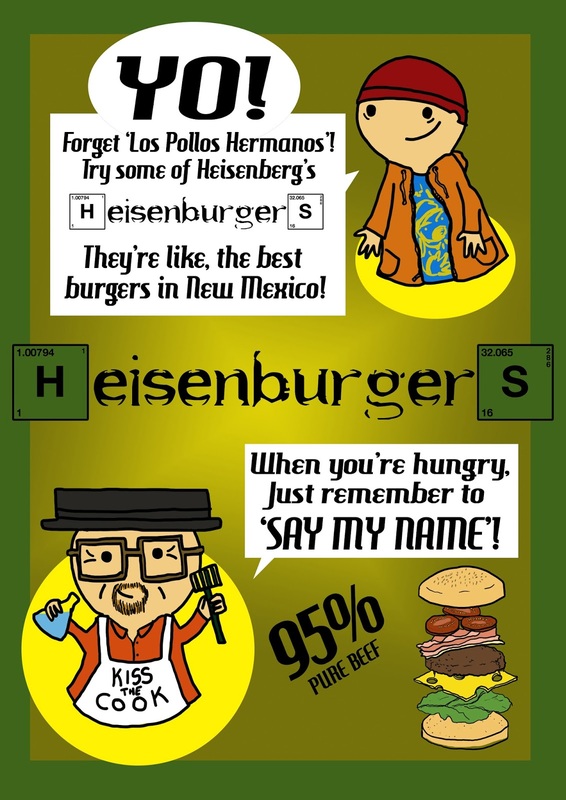 Breaking Bad may be over but the internet still exists so you know what that means! Infinite Breaking Bad content! Forever! 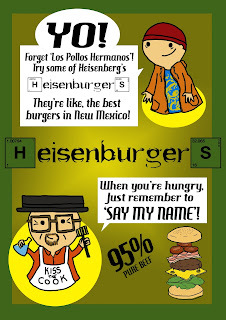 Here's a poster for Walt and Jessie's Burger shop. Their meat is 95% pure don't ya know! Word is that they're coming to a town near you, selling burgers from a specially kitted out RV!